A very good thing about the image is you will always have the memory now of the event. Having a camera handy, but not to close to the window, was a valuable lesson. 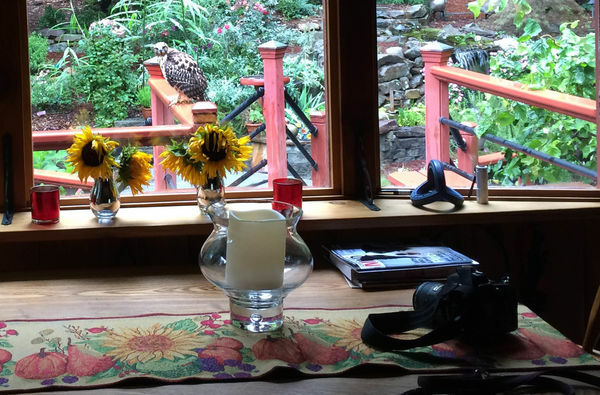 Took this with my cell phone, and sure enough, he flew when I picked up the SLR on the table! 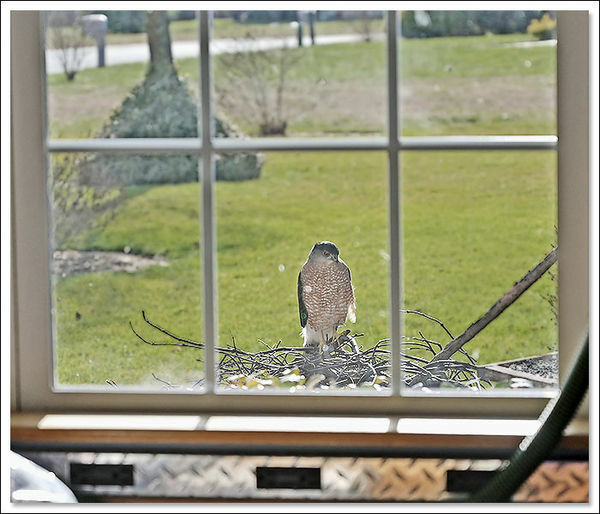 He had obviously heard about the bird photographer who lived inside, Bill! how lucky are you! You will be able to watch the family grow! Nice, Bill and they seem to do it every time! good grief......what a surprise......you never know what will pop-up these days. I usually have my DSLR handy where I can grab it rather quickly. Here's an unfortunate example. We had a hummingbird nest in a tree in our backyard. 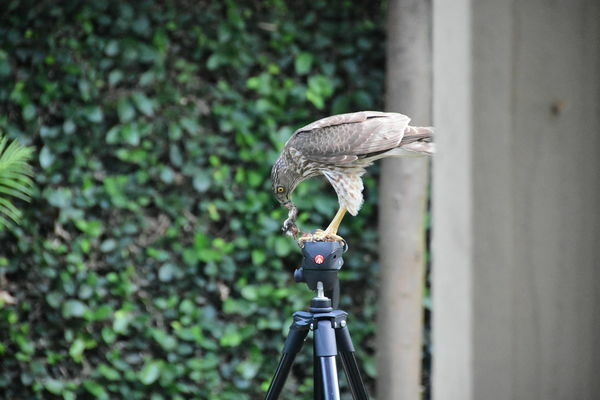 A hawk spotted the nest, and in one fell swoop, took the nest and rested it on my tripod and had his meal (I had unintentionally left the empty tripod in the backyard). Saddened at these events, but it was just nature taking its course. I was shooting through a sliding glass patio door. Thanks for looking folks. I cleaned the inside of the window today, but it was too cold to do the outside. 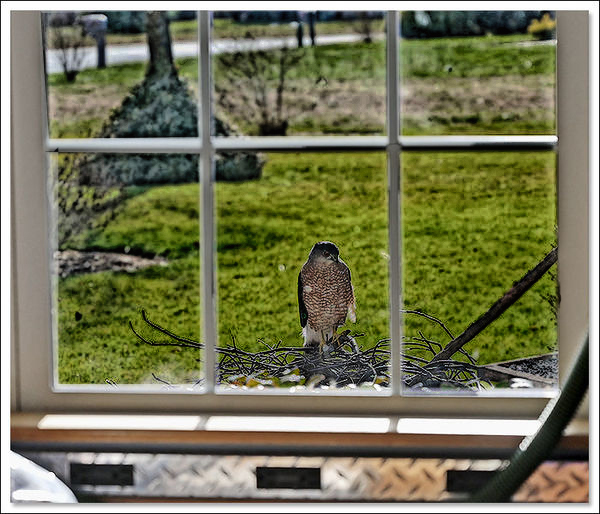 If this hawk wants a better picture he may have to wait for spring. You gave up too easily. Nice shot.